There’s simply no escaping it, whether you’re 20 or you’re 40 — you’re going to have to incorporate a facial sheet mask into your regimen at some point. And why not? Sheet masks have gotten so technologically advanced and are so wide-ranging, there’s something to address practically every skin care woe. So don’t bypass the opportunity to treat your skin with your own mini facial. At the very least, it’ll force you to give yourself some me time once a week. 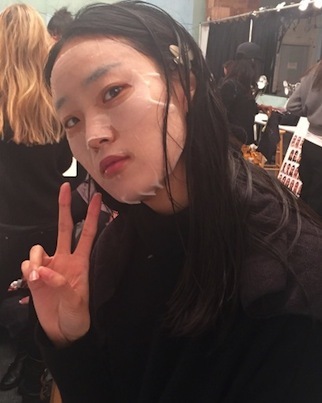 A Patchology sheet mask preps a model’s skin at Tadashi. Sheet masks are usually made with fabric or pulp soaked in all sorts of skin-loving goodness. This skin care basic comes in a wide range of price points, so you can wear one every day if you wanted to, or save a more luxe mask for a special occasion. Because the sheet mask sits on your face for anywhere from 10 to 40 minutes, it creates a protective seal as your skin absorbs the nutrients. 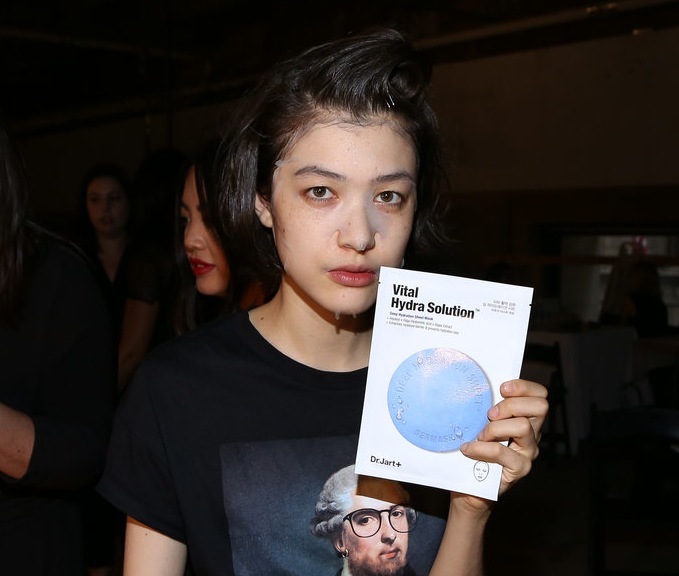 This is a good, basic cotton-silk mask from the eco-conscious company started by Eve Yen. In 10 to 15 minutes, skin is nourished with hyaluronic acid, vitamin B5, cucumber and an anti-aging botanical complex including maqui berry, licorice root, ginkgo biloba leaf, grape seed and hickory bark. It’s also biodegradable, natural and made in California. $20 for 5 masks. Created by Linda Wang when she couldn’t find the exact sheet mask she wanted in Asia, Karuna distinguishes itself with its all-natural, biodegradable wood pulp fiber cloth, which retains 50 percent more moisture than synthetic material. The Clarifying mask features antibacterial shiso leaf, antiseptic ginger and soothing honey for oily, hormonal skin. For extra absorption, she recommends soaking the mask in its sealed packet in a bowl of hot water for 3 to 5 minutes. $28 for 4 masks. This sheet mask from the Korean skin care brand is unique in that it’s made of soft microfiber that they say is finer than a strand of hair, so it conforms to the contours of your face and stays there, allowing for better absorption of active ingredients into the skin. Power ingredients include niacinamide, the antioxidant glutathione, and α-bisabolol to even out skin tone. What also differentiates this line of masks are its offerings targeting nasolabial lines, eyes and cheeks, cellulite and even the V-line (chin and jawline). $9 for 1 mask. This seriously luxe mask features the brand’s signature gold silk sericin in a rich, creamy gel formula on a thick cloth mask that doesn’t budge once it’s on. The mask is so drenched in serum, there should be plenty left over in the packet for you to tap on top of the mask once you have it on, as well as on your neck, chest and even back of your hands. After the requisite 10 minutes, your skin is beyond hydrated — you’ll almost not need to put any other product on afterwards. $169 for a set of 6. Skin savvy women in South Korea have moved beyond regular cotton sheet masks to hydrogel masks. “The hydrogel is made of polymers that are very absorbent and hold water against your skin,” says Jessica Wu, M.D., Los Angeles dermatologist and assistant clinical professor of dermatology at USC School of Medicine. “The mask traps water more effectively than a sheet mask because water evaporates more slowly from a hydrogel mask.” Another benefit, adds Dr. Wu, is that the gel-like material — which is similar to what she uses on surgical wounds or burns — is more flexible and conforms to your face better than cloth masks. Try Dr. Jart Water-Full Hydrogel Mask, $42 for 5 masks. Another innovation in mask technology is bio cellulose, which is found in When masks. Founded by Jin Han Lee, the Korean-based company claims that eco-friendly bio cellulose is superior to hydrogel in its ability to conform to the face, thereby minimizing evaporation. As any regular user of masks may know, applying a sheet mask (and keeping it on) is not the most elegant of activities. But once you get the When mask on, massage out the air bubbles and gently press the mask into the contours of your face, and you’ll begin to see the mask almost “melt” onto your skin. $28 for 4 masks. For a wholly unique mask experience, Dermovia’s Lace Your Face LaceTex Facial Mask offers something akin to shapewear for your face. Yes, the pretty lacy cotton mask is infused with hyaluronic acid, chamomile, dew grass, apple stem cell, Tahitian seawater and squalane, but the kicker is the straps that go around your ears to not only hold your mask in place but give you a little lifting and tightening action around the V-line. $55 for 4 masks. According to Christine Chang and Sarah Lee of Korean beauty e-tailer Glow Recipe, fermented beauty is the next big thing. And no one does fermented skin care better than Korean eco brand Whamisa. “Cosmetic fermentation is a technique considered to be the next horizon in natural beauty as it helps to micronize ingredients for improved absorption,” says Chang and Lee. One of the brand’s cult-favorite products is the Organic Sea Kelp sheet mask, which is made of actual fermented sea kelp. In fact, take it out of the pack and you’ll be instantly transported to the ocean — it feels and smells like sea kelp (because it is!). $14 for 1 mask. Originally written by me for Audreymagazine.com.